What’s the latest on Final Fantasy XIV? When can I get my hands on Shadowbringers? 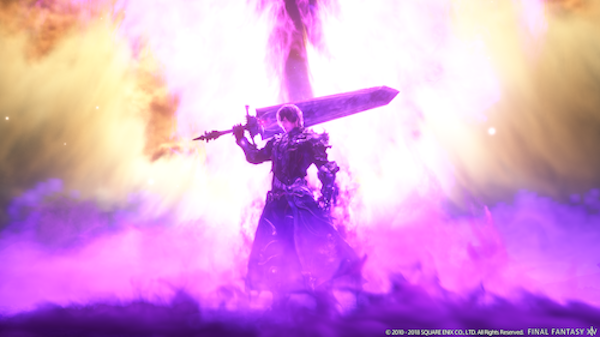 FINAL FANTASY® XIV: Shadowbringers is available for pre-order today beginning at 11:00 AM PT ahead of its scheduled release on July 2, 2019. The third major expansion for the award-winning MMO with over 14 million registered players will be available physically and digitally in both a Collector’s and Standard Edition. Shadowbringers Special Art Box – A unique silver-inlaid box featuring an illustration by artist Yoshitaka Amano. Expertly Crafted Dark Knight Figure – An impressive high-quality figure of the Warrior of Darkness as a dark knight. Shadowbringers Art Book – An art book featuring a wealth of illustrations and concept art used in the creation of Shadowbringers. Shadowbringers Logo Sticker – A reusable vinyl cling featuring the design of the Shadowbringers logo. FINAL FANTASY XIV Playing Card Deck – A deck of playing cards featuring a range of artwork from A Realm Reborn™ through Shadowbringers. If you pre-order either addition, you’ll access to special in-game items. The Collector’s Edition is $199, and you can get the expansion when it arrives on July 2nd.